Following the leak the artist Tee Blaq has been involved in a scandal with the producer of his ''O SHAPRANPRA'' . 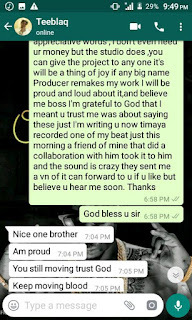 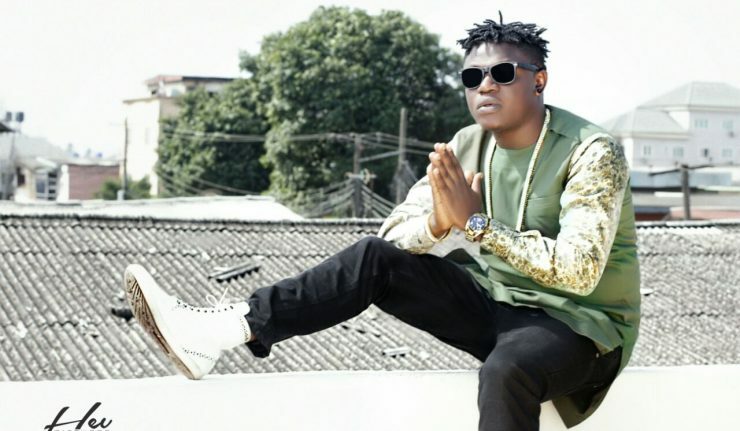 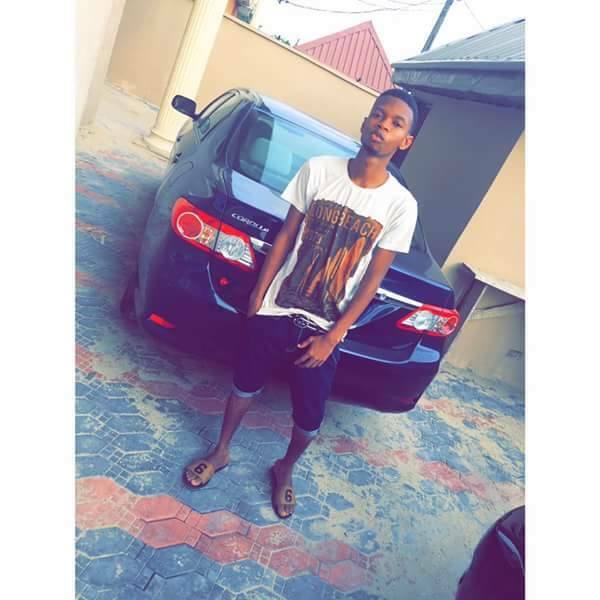 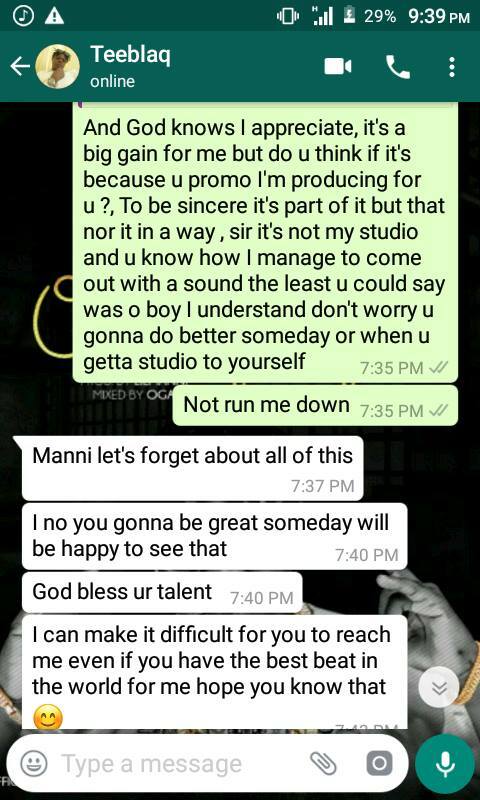 The said producer alleged he is yet to receive payment after the stress of producing the song. 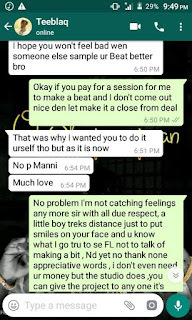 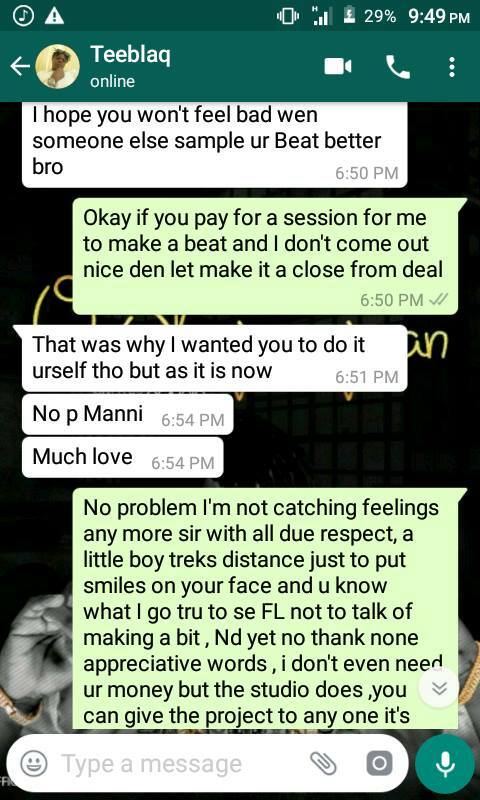 The young producer Manni has been placed in a state of discomfort after his beat was referred to as WACK and he was unable to pay for the studio session.